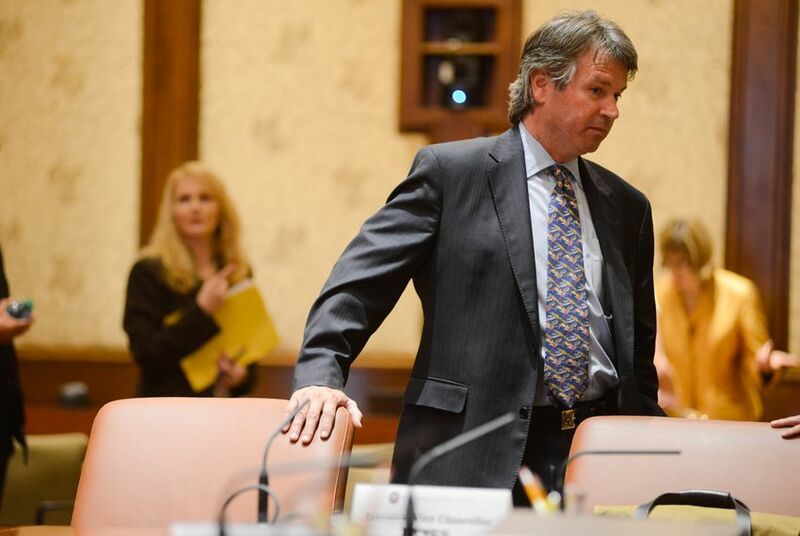 UT System Regent Wallace Hall is questioning whether it is legal for the chancellor to restrict Hall's access to confidential student information. In a letter, he asked Attorney General Ken Paxton to weigh in. When he abstained from voting to appoint Gregory Fenves as the new president of the University of Texas at Austin on Monday, UT System Regent Wallace Hall said he still had some "lingering, unresolved questions" about the admissions process at the flagship school. Hours later, Hall's lawyer requested help from the state attorney general to find some answers. In a letter to Attorney General Ken Paxton, Hall's lawyer says Hall wants access to supporting documents and evidence that was used to compile a consultant's report about the admissions policies at UT-Austin — a report by Kroll Associates that found that current UT President Bill Powers' office helped some students get into the school over the objections of the admissions office. The UT System denied that access, and Hall's lawyer questions whether that's against the law. Hall first requested the backup information on March 9. At a meeting on April 8, the board of regents voted to give it to him. But the board left open the question of whether Hall should have access to confidential student information. According to the letter, Hall was denied that information by Chancellor Bill McRaven. "The chancellor decided that Regent Hall did not have an 'educational purpose' for reviewing the Kroll records," says the letter, written by attorney Bill Aleshire. As of Monday, Hall hadn't received any of the records he has requested, the letter says. His lawyer is now asking the attorney general's office whether the university can legally keep that information from him. In the letter, Aleshire hints at two reasons why he believes Hall has the right to the information. He says that the attorney general's office has ruled in the past that board members should have "unfettered" access to the records to the state agencies they are overseeing. Regents have oversight of universities, the letter says, so that should apply. And he suggests that McRaven works for the regents, so he can't deny regents' requests. "We are unable to find anything in the laws of the State of Texas that empowers the Chancellor to tell the Regents, or to tell any one regent, what information the regent can or cannot see in the discharge of the regent's duties," the letter says. The attorney general’s decision could go a long way in determining how far Hall’s inquiries into admissions at UT-Austin can go. The Kroll report identified 73 students who were admitted to UT-Austin from 2oo9 to 2014 who had a combined SAT score of less than 1100 and a GPA below 2.9. Hall is asking for an expedited decision from Paxton. The board of regents is scheduled to meet on May 13, when members could make it more difficult for Hall to receive permission to access the records, the letter says. Currently, it takes two regents to approve a fellow regent’s request for information. But some regents have suggested increasing that number to a majority of the nine-member board. Attorney general opinions are nonbinding. Government officials often request them when they have legal questions surrounding a state government decision. Hall is a big financial supporter of Paxton. Hall donated $35,500 to Paxton’s campaign when Paxton was running for office in 2014, according to the Texas Ethics Commission.